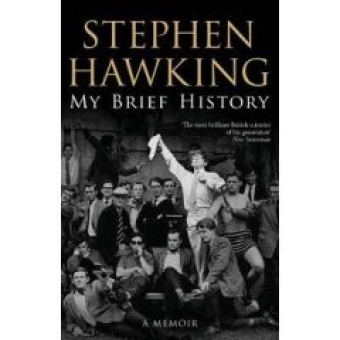 My Brief History recounts Stephen Hawking's improbable journey, from his post-war London boyhood to his years of international acclaim and celebrity. Lavishly illustrated with rarely seen photographs, this concise, witty and candid account introduces readers to a Hawking rarely glimpsed in previous books: the inquisitive schoolboy whose classmates nicknamed him `Einstein'; the jokester who once placed a bet with a colleague over the existence of a black hole; and the young husband and father struggling to gain a foothold in the world of academia. Clear-eyed, intimate and wise, My Brief History opens a window for the rest of us into Hawking's personal cosmos.